The S&P 500 closed at a new record high, its eighth of the year. The Dow Jones Industrial Average just missed closing at a new record, falling short by a mere 3 points. 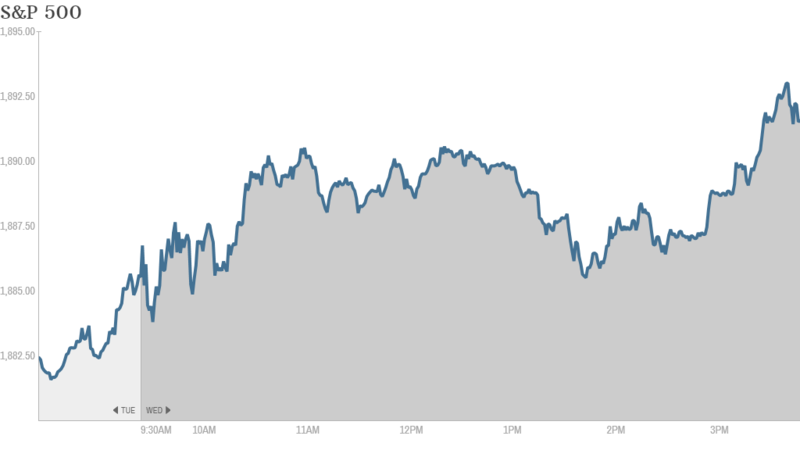 A late afternoon rally helped power the indexes down the stretch, with the Nasdaq closing higher as well. But a record close for the S&P 500 at 1,890.90 was far from a sure thing during much of the session as stocks gained then retreated several times. Investors will now turn their attention to Friday's much anticipated March unemployment report. Today, they kept a close eye on this morning's ADP employment report, which showed a gain of 191,000 private sector jobs last month. That's slightly below expectations, but it was still the strongest job growth in three months. Factory orders for February also came in better than expected at 1.6% growth for the month. Pharmaceutical firm Mannkind (MNKD) was one of the hottest stocks of the day after the company said its inhaled diabetes drug Afrezza was given the approval nod by a Food and Drug Administration advisory committee. The FDA is expected to make its final decision on Afrezza in mid-April. StockTwits traders were excited about the prospects. "$MNKD Remember the FDA has all the data for a very long time & now they got an overwhelmingly positive vote from the advisory committee - they don't need to wait," said Catalystinvestor. But topsecret tried to keep today's move in perspective,"$MNKD Realistically, how high could this go after approval...?" An FDA approval continued to power the stock of Intuitive Surgical (ISRG) today. Shares were up nearly 5%, after jumping 13% on Tuesday after news that the FDA had cleared the latest version of the company's surgical robot system for wider use. GM (GM) remained in focus again as CEO Mary Barra returned to Capitol Hill to answer legislators' questions regarding the automaker's botched ignition switch recall. Despite all the negative publicity, GM reported sales Tuesday that topped analysts' expectations and it stock was up today. Amazon.com (AMZN) shares ended lower despite unveiling its Amazon FireTV device that enables televisions to access programming from its Amazon Prime subscription service. Amazon joins competitors like Google (GOOG), Appl (AAPL)e, Microsoft (MSFT) and Roku that want to replace set top boxes from cable and satellite companies that sit in your living room. StrayTrader said Apple was asleep at the switch, "AAPL has delayed Apple TV development and upgrade for so long that $AMZN can step into the void and attack the market." But profit-guru seemed more excited about the fact that Amazon also unveiled a game controller for the new FireTV device,"$AMZN - fire game controller will be game changer... no brainer stock will go up..IMO." Shares of Sears Holdings (SHLD) were up nearly 3% as investors are apparently optimistic about Friday's expected spinoff of its Lands' End clothing business. 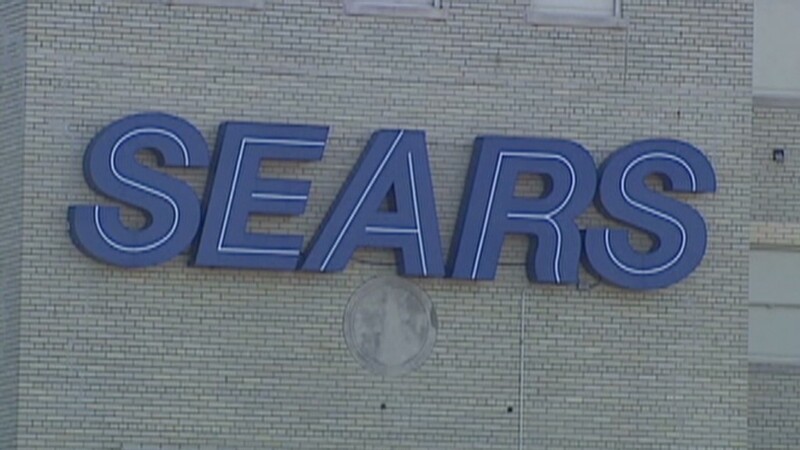 Sears bought the company in 2002 for $2 billion. BlackBerry (BBRY) shares were up more than 1% following news that T-Mobile (TMUS) will no longer sell BlackBerry phones after April 25th. BlackBerry owners who use T-Mobile will still be able to use their phones and get product support even after the deadline, but the contract between the two companies won't be renewed according to BlackBerry. The Rubicon Project (RUBI) began trading today with a bang... up 33%! The online advertising service provider priced its initial public offering last night at $15 a share, on the lower end of expectations. One stock taking a beating is Apollo Education Group (APOL), down nearly 9%. The online learning company which owns and operates University of Phoenix, reporting lower than expected quarterly revenue. European markets finished higher as did the Asian markets.